HiVAX™ is our Vacuum Pressure Impregnation (VPI) insulation system. 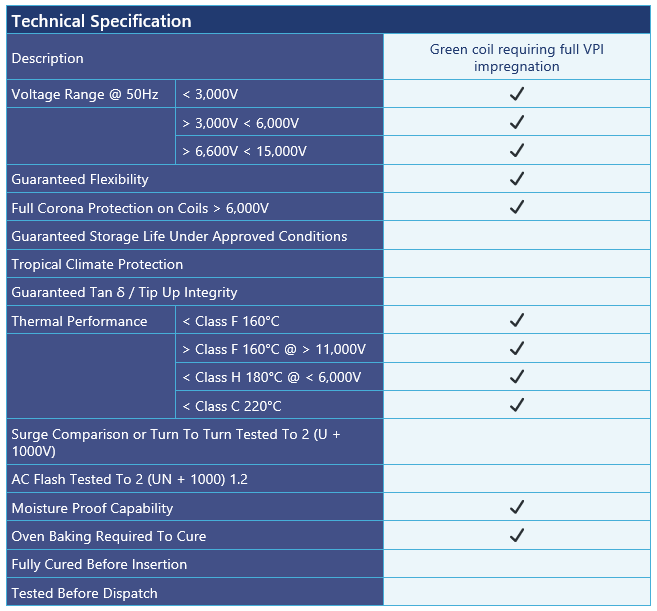 VPI technology offers a range of benefits compared to resin rich systems, including improved sealant against moisture ingress and greater heat dissipation. VPI technology works at higher ambient temperatures if a silicone-based resin is used for impregnation. Resin rich technology hits a temperature plateau at Class F or 180°C, whereas VPI technology has the ability to go up to a working Class C or 220°C. HiVAX is ideal for AC traction windings and all machines working at high temperatures. HiVAX is recommend for short lead times as there are no pressing times, so reducing the production process.